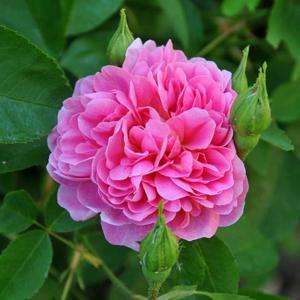 Scented double clear rose-pink flowers, repeating through summer. Moderate sized, bushy shrub. Very disease resistant.